HERSHEY, Pa. -- A Pennsylvania hospital is apologizing for a letter it sent to patients with multiple sclerosis telling them to seek care elsewhere because of the recent departure of four doctors. 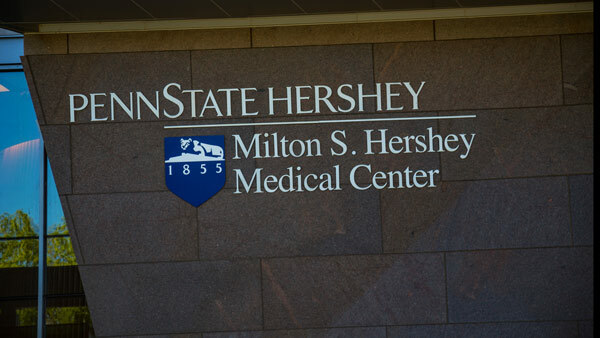 Penn State Health sent the apology letter Monday, telling patients that it remains committed to multiple sclerosis treatment at its hospital in Hershey despite the staffing issues. It says it has organized a team to help patients in the short-term and is looking to rebuild the department long-term. On April 17, the health system sent a letter to 2,100 neurology patients advising them to seek alternate care options for multiple sclerosis. Two of the departing doctors took new jobs, and two retired. We made a mistake, and we want to make it right. We recently sent you a letter about some staffing challenges at our neurology practice on the campus of Penn State Health Milton S. Hershey Medical Center that provides care to patients with multiple sclerosis (MS) and other conditions. In this letter, we said your provider was no longer with our organization and advised you to seek alternate care options. We should have assured you that despite these staffing challenges, our practice remains open to you- whether you are an MS patient or are being seen for some other neurological concern. Our staff is committed to working with you and your family to make sure your care needs are met. In our haste to get you this information about the care we provide to you, we neglected our larger role of caring for you. For that, we want to say we are sorry. And we want to tell you what we are doing to make it right. Please understand that our MS staffing challenges remain, caused by retirements and departures of physicians. We want you to know that our clinical leaders have a plan to meet your MS care needs in both the short and long term. In the short term, we have put in place a team of Penn State Health providers able to help you with MS-related needs such as medication monitoring and management, related lab or imaging tests and urgent appointments for flare-ups of your illness. Long term, our goal is to rebuild our capacity to continue as your primary MS caregiver. This will take time, but our most important priority is your future care. If you are a non-MS patient who was previously treated by one of the physicians who have left Penn State Health, your care will continue with another provider at our neurology practice. We have established a dedicated team of staff and providers to answer your questions, schedule any needed appointments or help get medication refills ordered. Please call us at 717-531-3828 Monday-Friday, 7:30 a.m. to 7 p.m., and select # to be directed to one of our care coordinators. You matter to us. We sincerely apologize for the concern our initial letter caused, and we pledge to do better going forward. We ask that you give us an opportunity to earn your trust back.